Sir Ian McKellen as Gandalf in the Lord Of The Rings and The Hobbit movies is an example of truly expert casting. His epic performance over the six films was one of, if not the most iconic role of the veteran actor's exemplary career to date. As one of the few characters to appear in all six of Peter Jackson's films, McKellen devoted a total of 15 years to playing the beloved and legendary wizard. 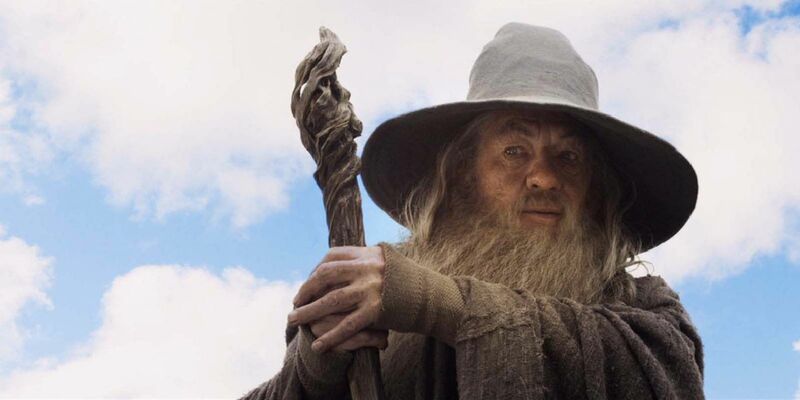 With the six films accomplished and no plans for continuation (or books available to adapt), if there was any doubt that McKellen has permanently retired Gandalf's robes and staff, the actor has just verbally confirmed as much to be the case. McKellen is a multi award winning actor, a Marlowe Society alum from Cambridge University (which has produced many notable figures in acting) who is widely regarded as one of Britain's greatest theatrical talents. He honed his skill within the world of theater, working with the Royal Shakespeare Company and the Royal National Theater and has had a diverse career on screen that has spanned 60 years. It is over the last 15 years that McKellen has really embraced roles within fantasy and action genres, lending his considerable esteem to the character of Magneto in the X-Men franchise and of course Gandalf. Despite a rising trend in Hollywood to treat successful franchises to spin off projects expanding on popular characters or lesser explored factions, this is not a likelihood on the horizon for J.R.R. Tolkien's middle earth universe. A good deal of the source material has now been covered, the author has been gone for 42 years, and his remaining son Christopher has publicly stated his opposition to any further commercialisation of his late father's work, steadily quashing plans for a LOTR themepark and selected merchandise. Tolkien sold the rights to his completed books in his lifetime, a third work "The Silmarillion" was edited and completed posthumously by Christopher and the rights remain with the Tolkien estate - which makes the chance for another big or small screen adaptation of this material slim to none at this stage. Who knows what the future may hold for future adaptations of Tolkien's work, but McKellen's part in Jackson's movies will indefinitely stand as a prolific feature of his career and homage to the great classic author who envisioned the character and world he exists within. McKellen fans will be able to catch him next in the upcoming live-action Disney feature, Beauty and The Beast (where he voices Cogsworth) in 2017. Larry King's interview with McKellen is due to air at 2PM ET/11AM PT on December 2nd, 2015.